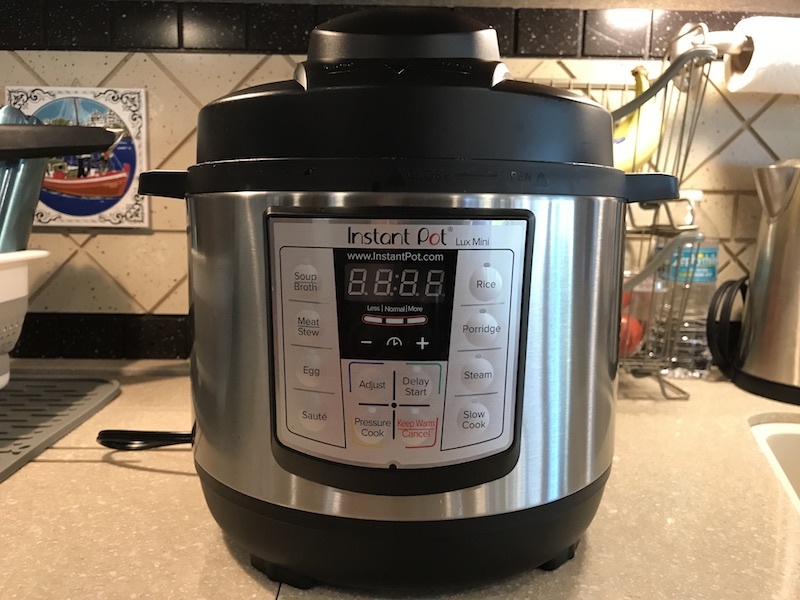 Last year we jumped on the Instant Pot bandwagon after reading rave reviews and watching fellow RVers’ cooking videos that convinced us it’s a tool every full-timer needs in their space-saving arsenal since it’s a multi-purpose kitchen appliance (6 in 1, 7 in 1 or 9 in 1 depending on the model). That meant separate appliances like a slow cooker and/or rice cooker would no longer be needed. We were especially looking forward to having the option of pressure cooking, not to mention being able to saute or sear and then finish cooking (pressure or slow) in the same pot. Not realizing that a smaller version was available, we originally purchased a 6 quart version and, unfortunately for us, it was too big to fit in any of our cabinets (it was literally too tall and wide to fit through any of our cabinet doors). Since we try to minimize storing items on our countertops, leaving it out wasn’t an option either. We had been excited about trying it but ended up gifting that 6 quart pot to a family member. Thankfully, not long after, we discovered that 3 quart versions were also available (which was also better because we typically only cook for the two of us), ordered it pronto and it fit in our cabinet! Since we received it, we’ve used it many times to cook several varieties of beans, chili, soups, stews and even hard boiled eggs. It must have something to do with cooking the eggs by steaming them under pressure, but it’s super easy to peel them no matter how fresh they are. In our experience, the peels almost slide right off. And it’s wonderful to set it up and have a delicious meal ready quickly, without having to worry about keeping an eye on the pot during cooking at all. That’s my favorite feature. 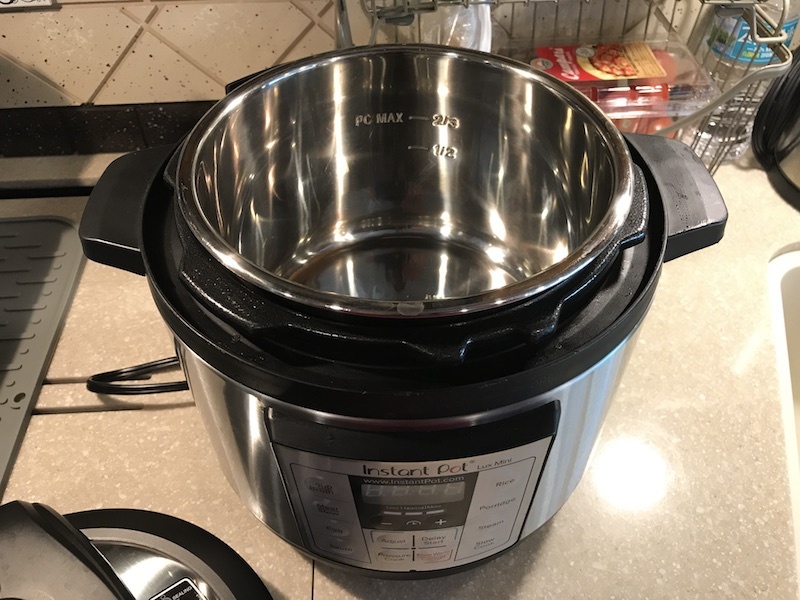 The Instant Pot comes with a steam rack (which is what we use to cook hard boiled eggs), a soup spoon, a rice paddle, a measuring cup, and a recipe book and can be used several different ways depending on the model: as a pressure cooker, a slow cooker, a rice cooker, a sauté pan, a steamer, a yogurt maker (we have the 6 in 1 Lux Series 3 quart model which doesn’t have this feature), and a keep warm function that will keep your food hot after the cooking cycle is complete. You can also purchase accessories like a glass lid separately (which could be used for slow cooking, although it’s not necessary). We love that the inner cooking pot is stainless steel so there are no questionable coatings and clean up is easy. We don’t have a dishwasher, but for those who do, all parts of the lid and inner stainless steel pot are dishwasher safe. In addition, there are clear maximum fill level markings on the inside of the inner stainless steel pot for cooking under pressure. There is a little bit of a learning curve (especially if you’re not familiar with pressure cookers) but the user manual is short, easy to understand and supplemented with clear illustrations. 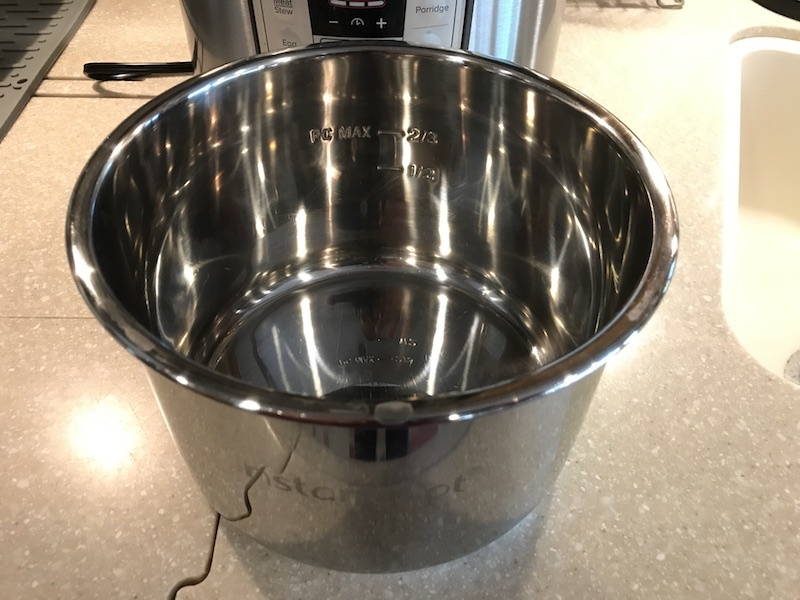 It was particularly helpful that there are instructions under “Getting Started” for an initial test run using only a small amount of water to familiarize yourself with the pot and make sure it’s working properly. Once you’ve done that, just choose your ingredients, set your program, and start cooking! Three things to be aware of: (1) one of the parts of the lid is a sealing ring that’s required for pressure cooking and we’ve found that the ring picks up the smell of whatever food we’ve cooked and it lingers even after washing (which we do manually by soaking it in super hot water and dishwashing soap – maybe if we had a dishwasher, the lingering odor wouldn’t be a problem? I’ve also read that cleaning with vinegar or lemon juice could reduce the odor but haven’t tried these techniques yet). When we’re not using the pot, we store the clean sealing ring in a big plastic zipper bag and that has taken care of the problem for now. However, we purchased additional sealing rings to have on hand (they come in clear and also in a 2 pack of red and blue but in our experience are frequently out of stock for the 3 quart size); (2) when pressure cooking, since the pot has to build up pressure before it starts cooking, (which can take up to 25 or 30 minutes) and then the pressure must be released after cooking is complete, overall times will be longer than just the cook time; and (3) you may need to vary overall cooking times based on personal taste preference. For instance, the recipe book suggests that unsoaked dry pinto beans be cooked for 25-30 minutes. For our taste, that time is more like 55 minutes (which including time to build and release pressure turns out to be about 1 1/2 hours total). 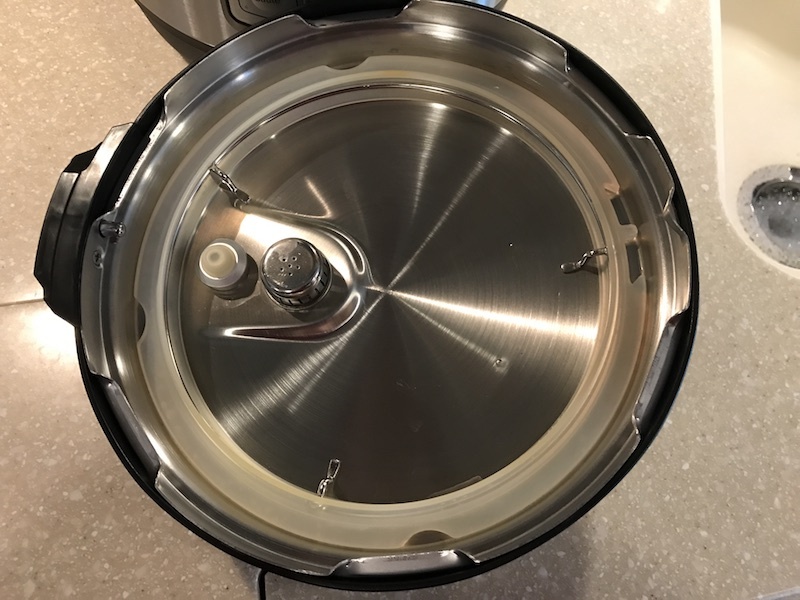 Overall, we love the features and quiet operation of the Instant Pot (ours is the Lux Mini 3 Quart) and that clean up is simple. And the best part is that we can have a tasty, healthy meal ready quickly with minimal fuss. If you have any questions or comments about this product or review, please leave them in the comments section below and we will respond as soon as we can. If you found this review helpful, please consider using our Amazon link above or below to shop on Amazon. If you make a purchase, Amazon will give us a small commission while charging you their same low price. Thanks! OnNowhereRoad.com is a participant in the Amazon Services LLC Associates Program, an affiliate advertising program designed to provide a means for us to earn fees by linking to Amazon.com and affiliated sites.